I don’t know what is harder for me to grasp: The fact that nearly 150,000 pets are lost in fires annually (most succumbing to smoke inhalation), or that over 10 million pets are lost each year (most of whom have run away from home). You can let those figures sink in for a minute. Even my experience having working with animal shelters and witnessing displaced and needy pets firsthand, I was staggered by these numbers. Today with extremely wild Southern California fires in effect I am sharing a project I passionately I believe will significantly reduce the number of pets lost to house fires. First off, if you don’t know the dangers of smoke inhalation, let me enlighten you: it only takes about 45 to 60 seconds (or 5 to 7 breaths) for carbon monoxide inhalation to leave you unconscious. Now consider the lungs of a dog whose sense of smell can breathe in particles 40 times larger and faster than those of a human. You can imagine the amount of frustrated tears shed by fire fighters who have rescued pets who lost their lives to smoke inhalation. Fortunately, we now have a possible solution to this heartbreaking problem: Our friends at Invisible Fence Brand, inventors of the safe and humane computer collar that prevents pets from running away from home, has teamed up with Metro Fire in Sacramento for a life-saving program called Project Breathe. Project Breathe, with donations from Invisible Fence, is making it a goal to provide first responders with the special equipment (such as pet oxygen masks) they must have to save pets rescued from fires… And all of God’s pet parents said…”Hallelujah!” Captain Christopher Quinn of Metro Fire Sacramento, the firefighter who helped bring Project Breathe to California, was inspired to take action after seeing hundreds of unconscious pets come back to life after being fitted with a human oxygen mask customized to fit a dog’s snout with a Dixie cup. This simple modification sparked a movement. Quinn says, “Animals are an extension of the family. Metro Fire is all about returning families their lost pets with the highest quality of life possible. 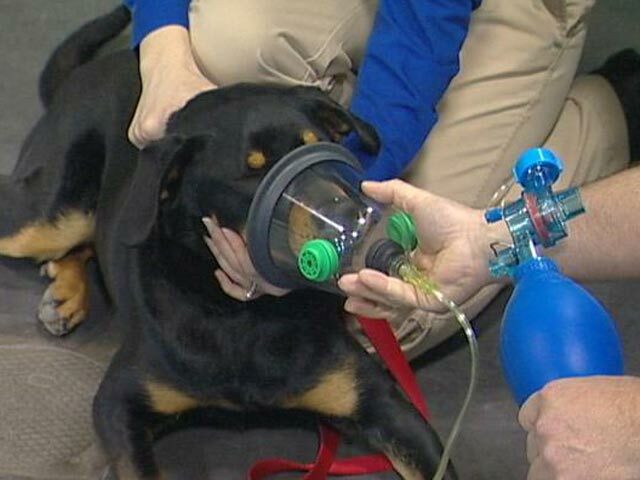 It came to my attention a year ago, as we do for humans, we need pet oxygen masks for pets who have succumbed to smoke inhalation.” Talk about a win-win situation. This is huge for pet rescue! I have prayed in hopes of someone finding a way to avoid animal fatalities due to house fires and now I feel like my prayers have been answered! Christina Landwehr, Invisible Fence Brand‘s community outreach manager is hopeful that Project Breathe will motivate other law enforcement departments across the country to partake in the idea. Fire departments can request the Project Breathe oxygen mask kits here. 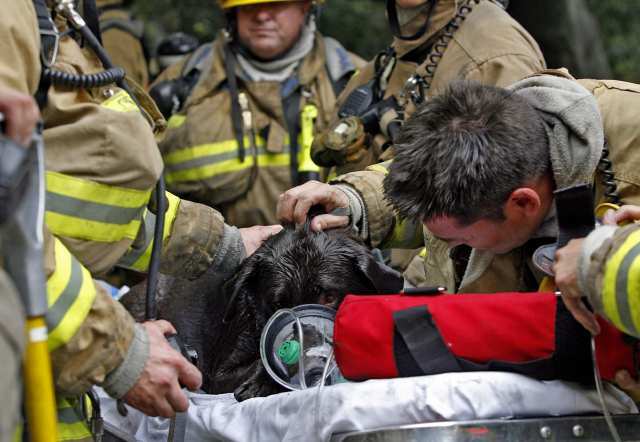 “Our goal is to ensure that every fire department and rescue unit is equipped with these life-saving pet oxygen masks. 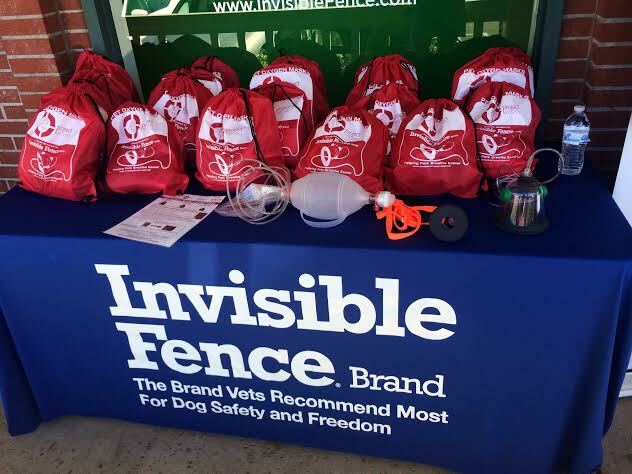 To date, Invisible Fence Brand has donated more than 11,500 masks to fire stations throughout the U.S. and Canada but heightened public awareness of the program helps us continue to reach more,” says Landwehr. I think I speak for all pet parents when I say thank you to Invisible Fence for their enormous efforts in keeping our pets safe. More pets’ lives have forever been changed because of the Project Breathe campaign. Chris Carney, who has been rescuing and fostering dogs for 13 years, brings up a good point about his dogs being rescued from a house fire, “People run from fires, but dogs hide and are quickly asphyxiated. There are no words that can begin to convey what a great program Project Breathe is, and the precious gift of life you gave us. These dogs’ lives mean so much. When I see the life in their eyes, I know their gift of life is from you. THANK YOU!” God bless Captain Quinn, the firefighters out there rescuing pets from house fires, and our friends at Invisible Fence Brand for channeling their compassion and generosity for pets to Project Breathe. 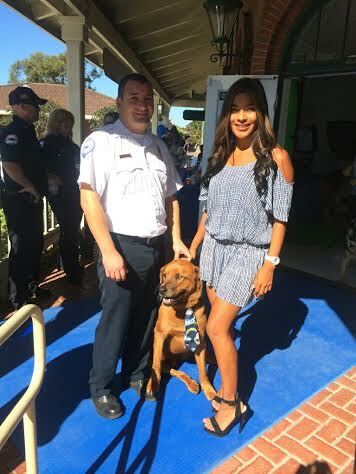 The Grand Opening of the new Invisible Fence location took place in Encinitas exactly one year ago and to date, and Invisible Fence has helped save the lives of over 700 pets in counting with Project Breath! Invisible Fence Brand of California invited all pet lovers from all parts of San Diego for a tail wagging good time at the Grand Opening celebration of their newest retail location located in The Lumberyard Shopping Center in Encinitas ( 967 S.Coast Highway 101, Suite B-108, Encinitas, Ca 92024) Invisible Fence Brand sure knows how to throw a pawesome party! The first 50 customers that arrive fetched a $50 Visa Gift Card and everyone in attendance received 20% off products and services and free “wag bags” full of pet goodies. They also hosted a DJ, Photo Booth, free bee toys and treats for Fido, and Helen Woodward Animal Center was there with an adorable set of puppies available for adoption. 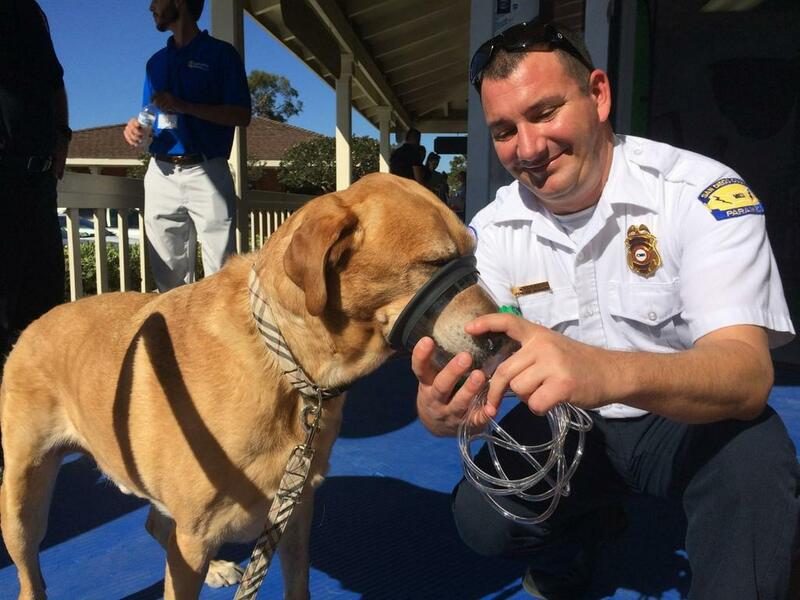 The exciting part of last years opening was the donation ceremony when Invisible Fence Brand donated 20 pet oxygen masks in honor of Project Breathe to operations manager of the American Medical Response of San Diego, Mike Rice. Rice graciously demonstrated how pet friendly these new masks are made, going on to say, ” It’s really great that Invisible Fence is doing this.. this donation is going to make a huge difference in the quality of life in pets we rescue who succumb to smoke inhalation.” American Medical Response has been serving the San Diego community with emergency medical services and medical transport for more than 65 years. Operations Manager of American Medical Response San Diego Mike Rice celebrates Project Breathe oxygen mask donations with a demonstration at the Invisible Fence Brand Grand Opening in Encinitas, Ca. 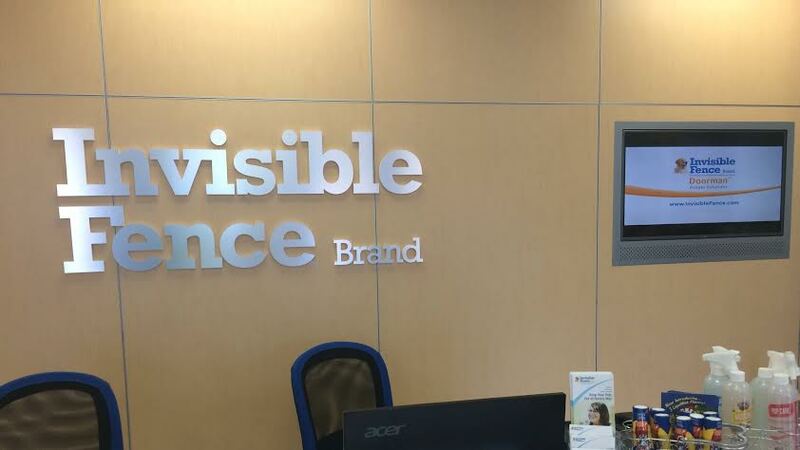 The Invisible Fence Brand Grand Opening was a huge success! They unveiled a very sleek and visually pleasing store layout design that channeled an Apple store-esque architectural feel, making the environment relaxing to both Fido and parent. 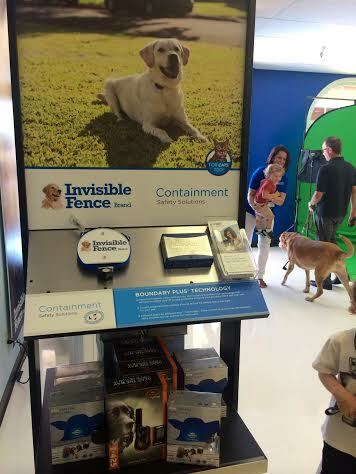 Designated water bowls, toys and treats are available to accommodate Fido, while parents can take a few minutes to learn more about the Invisible Fence product with touch, feel and questions from the very informative and hospitable Invisible Fence team. The stores appearance, along with the overall efforts Invisible Fence Brand has made to be very present in the mind of the pet community and that of the industry is very powerful. We all know for some time now these dog collar products have existed, as has the Invisible Fence Brand collar. However this weekends Invisible Fence Brand store grand opening, symbolizes the reinvention or what it means to be a safe, reliable dog boundary collar. 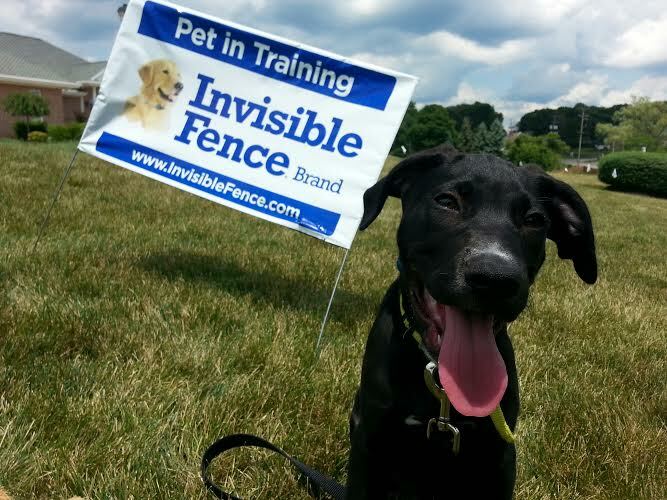 Invisible Fence Brand has clearly made it a goal to point out their safe technical philosophy behind their product throughout their presence online, in the media, and community pet social events. Beyond the good they have done for pets with Project Breathe, the Invisible Fence Brand genuinely has safety and best interest of our pets at heart with reinvention of their amazing collar. I fully encourage parents who parent dogs whom are venerable to running away from home to check out this product.